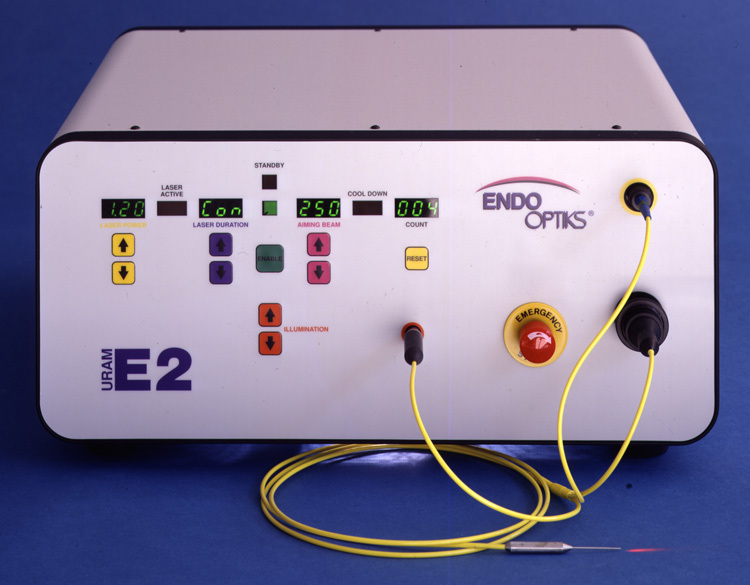 Endo Laser ECPC - Endoscopic CycloPhotoCoagulation - Dan Scott and Associates, Inc. This compact laser and endoscopy unit houses a light source, laser and camera. The laser output, pulse width, light and aiming beam intensity are controllable and the parameters are displayed on a back-lit, front-panel LCD. A foot control enables hands-free operation. For safety there is an emergency shutoff button. The rear panel features simple connectors to any video monitor, VCR or video printer.